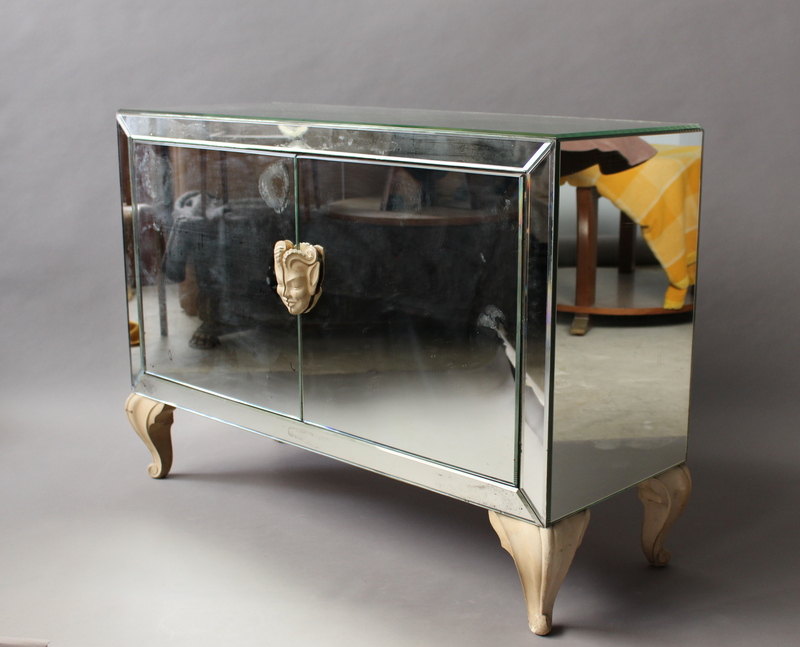 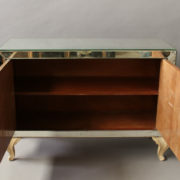 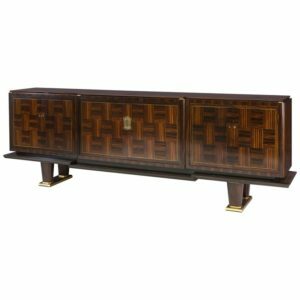 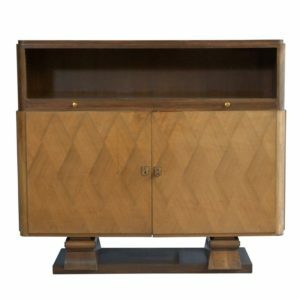 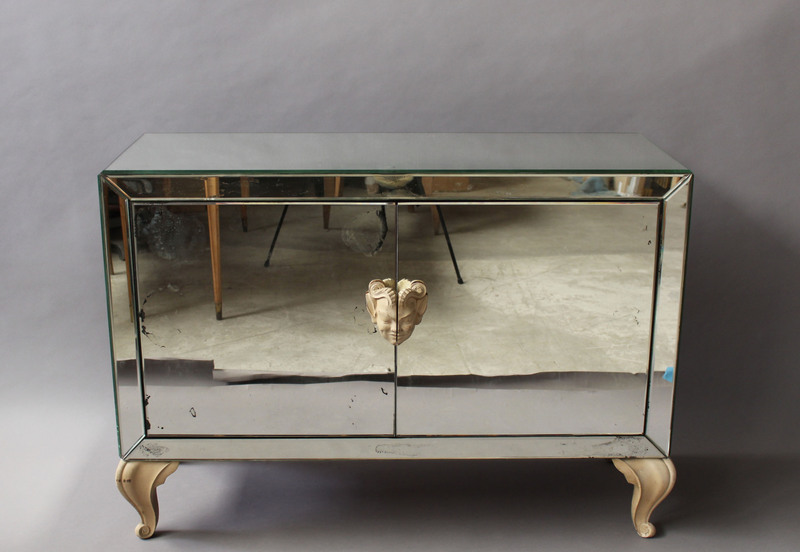 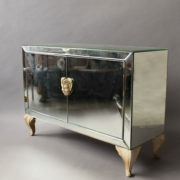 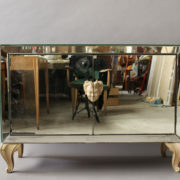 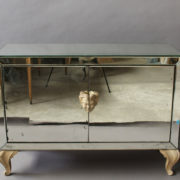 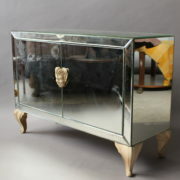 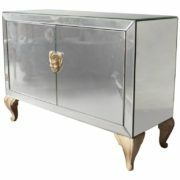 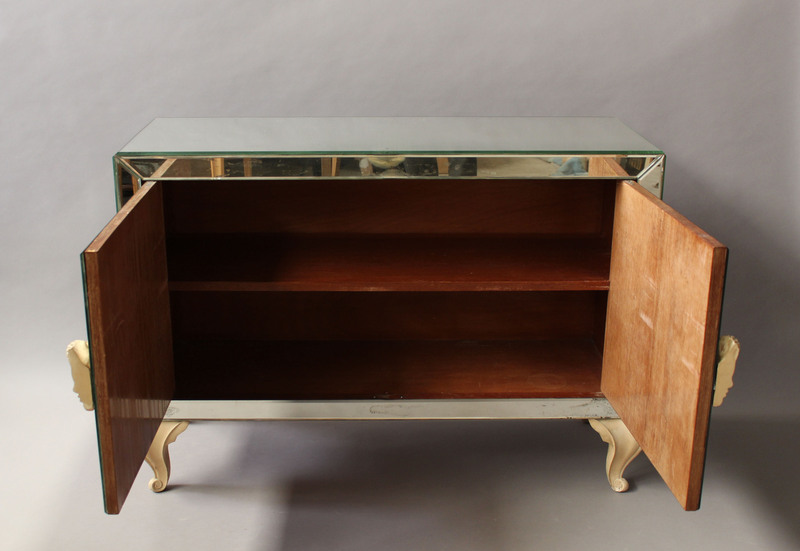 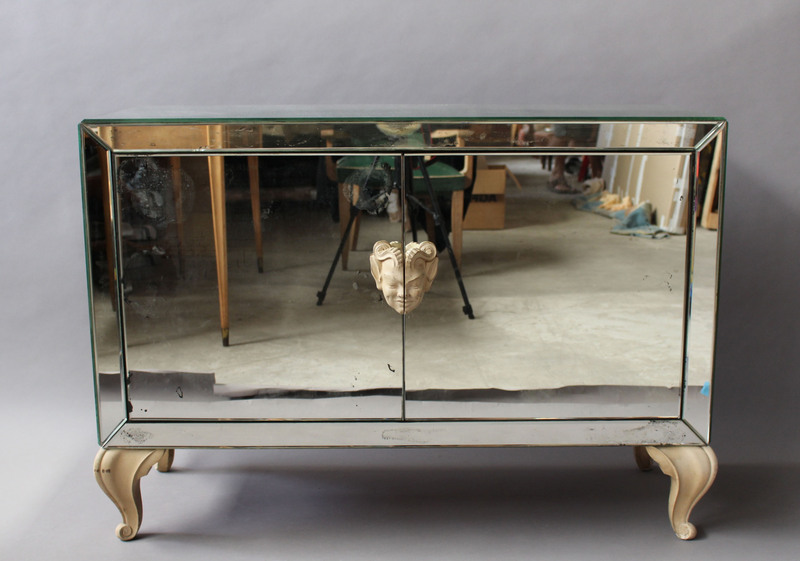 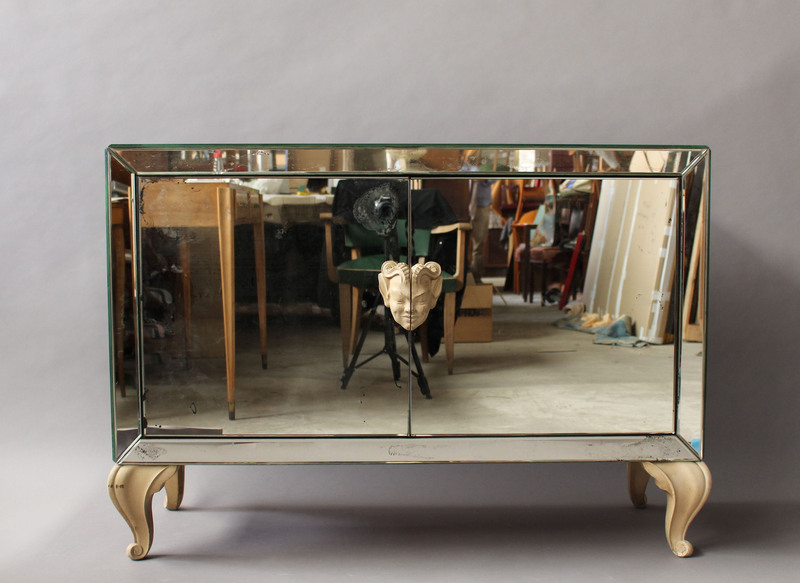 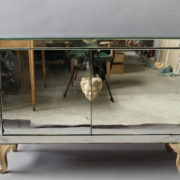 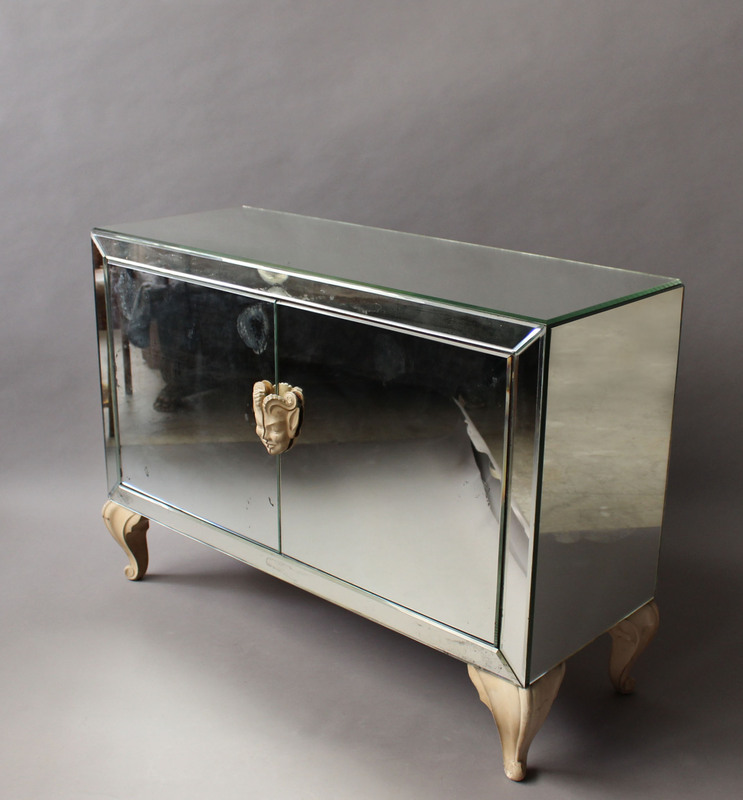 French Art Deco mirrored buffet or commode with wooden legs and handles. 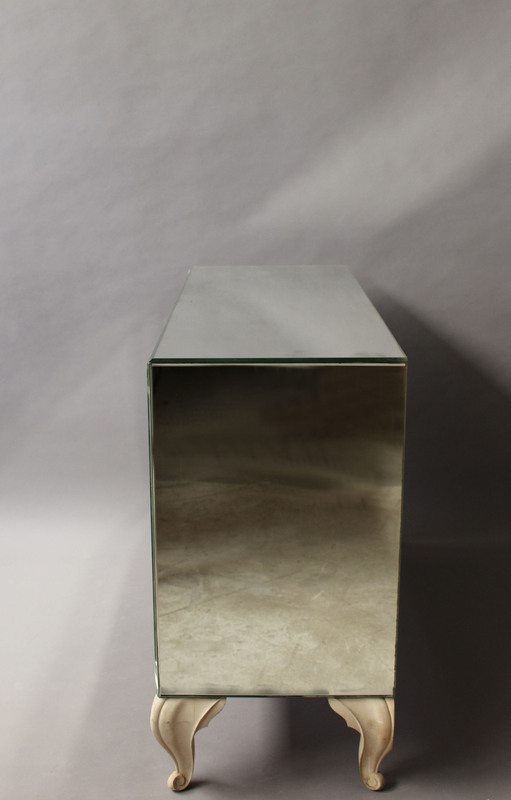 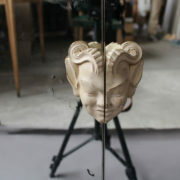 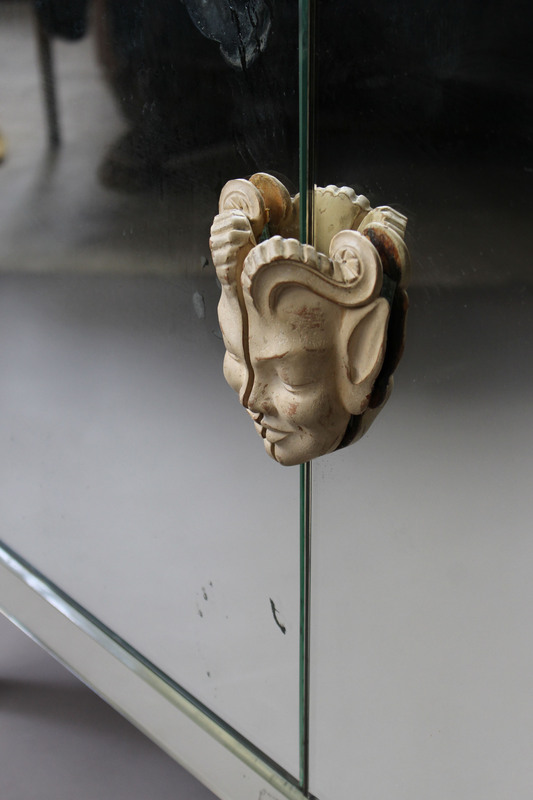 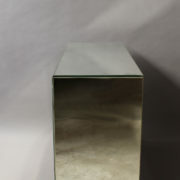 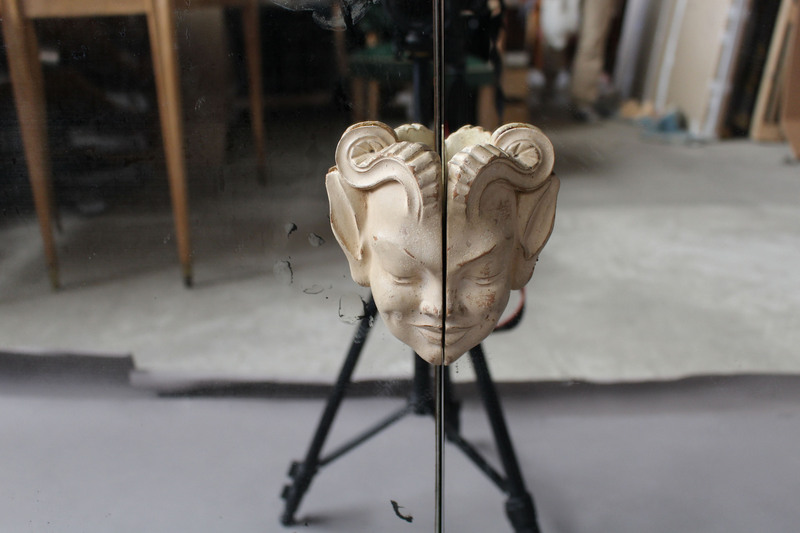 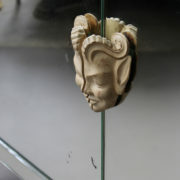 Good vintage condition; some weathered mirrors. 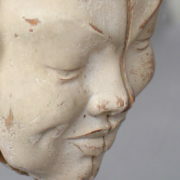 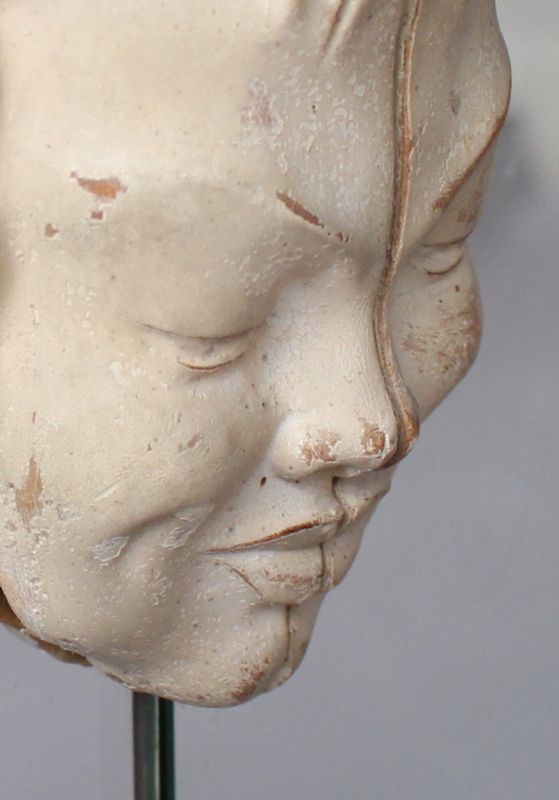 Minor wear on wooden parts. 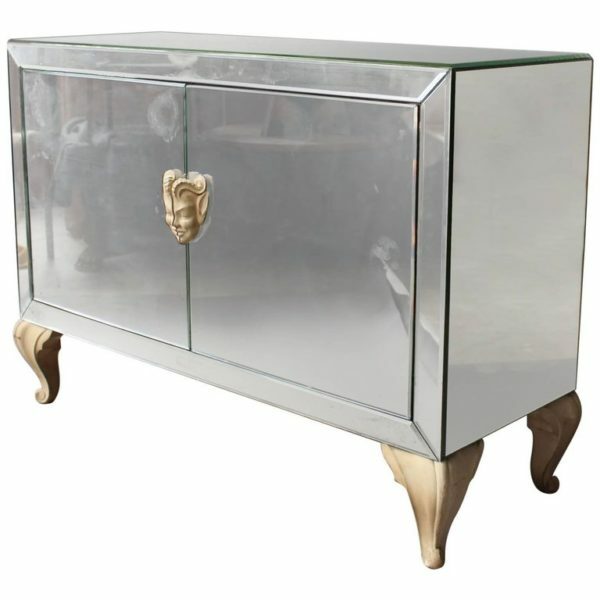 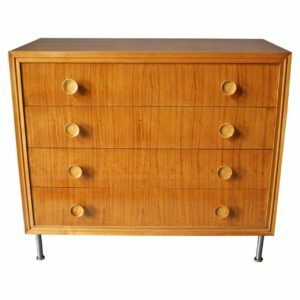 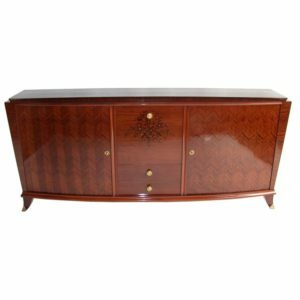 Soyez le premier à laisser votre avis sur “French Art Deco Mirrored Buffet or Commode with Wooden Legs and Handles” Annuler la réponse.